It’s something you learn in preschool, but sometimes it seems like a lesson modern medicine has forgotten – Everybody is unique (and that’s a good thing!). Medicine should be tailored to individual patient’s needs; after all, that’s why we go to the doctor individually rather than showing up with thirty others and being handed the same treatment as everyone else. Sometimes, however, companies forget this and often profit seems to be the motivating factor. Using overly generalized profiles to justify unnecessary, costly tests and/or treatments can be a form of health care fraud. The law empowers both patients and conscientious professionals to fight these misdeeds, wrongs that can be both costly and dangerous. As a whistleblowers’ law firm specializing in health care fraud, The Brod Law Firm can help. Together, we can bring an end to unnecessary billing based on general profiles and ensure medicine focuses on the individual. On October 19, the United States Department of Justice (“DOJ”) issued a press release announcing the settlement of multiple False Claims Act lawsuits against Millennium Health, a company headquartered in California. Millennium agreed to pay $256 million to resolve claims they billed Medicare, Medicaid, and other federal programs for services that were not medically necessary and allegations they provided free items to medical practitioners in exchange for their use of company services. While the settlement resolves the legal claims in several whistleblower suits, Millennium did not admit any wrongdoing. According to the underlying complaints, from January 2008 through May 2015, Millennium billed federal health care programs for urine drug tests that were both excessive and unnecessary. The government alleged that Millennium pushed physicians to use “custom profiles” which were essentially standing orders for multiple tests rather than tailoring orders to the needs of individual patients. Per the DOJ, this violated the rules of federal healthcare programs which only pay for reasonable, medically necessary services required for the diagnosis or treatment of an individual patient. The settlement also resolved similar claims the company submitted claims for routinely performed genetic testing rather than testing performed subject to an individualized assessment. Additionally, Millennium was accused of providing free urine test cups to practitioners on the express condition they returned the samples to the company for testing, an arrangement the government suggested violated both the Stark Law and the Anti-Kickback Statute which generally forbid laboratory/testing companies from giving practitioners anything of value in exchange for referrals. Like many health care fraud cases, the Millennium prosecution began with claims filed by private citizens using the whistleblower, or qui tam, provisions of the False Claims Act (“FCA” or “the Act”). As detailed in a helpful primer released by the DOJ in 2011, liability under the Act attaches when a person knowingly submits a false claim for payment to the federal government, causes another to do so, or makes a false record/statement in order to get the government to pay such a claim. There is also a “reverse false claims” section that forbids knowingly avoiding payment of money owed to the government (it does not apply to tax obligations). The qui tam provisions allow a private individual, called a “realtor,” to file FCA claims on the government’s behalf. Later, the government decides whether to intervene and take over the case or allow the realtor to continue independently. If the case results in the government recovering money, either via a settlement or a verdict, the realtor is entitled to between 15 and 25 percent of the recovery if the government intervened or 25 to 20 percent if the government did not intervene. Health care fraud cases are about wasted money, but they are also about public health. 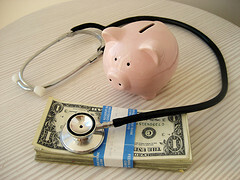 Making false claims on the federal healthcare system diverts money from legitimate claims. Further, almost all health care fraud cases endanger public health by putting money before patient care, including by providing generalized services rather than individualized care. If you believe you have knowledge about a case of health care fraud, whether you are a program beneficiary, a medical professional with another organization, or even a company insider, we can help you turn that knowledge into change and ensure you are compensated for your time and effort. Call (800) 427-7020 to arrange a free consultation with our health care fraud attorney. Change can start with you.